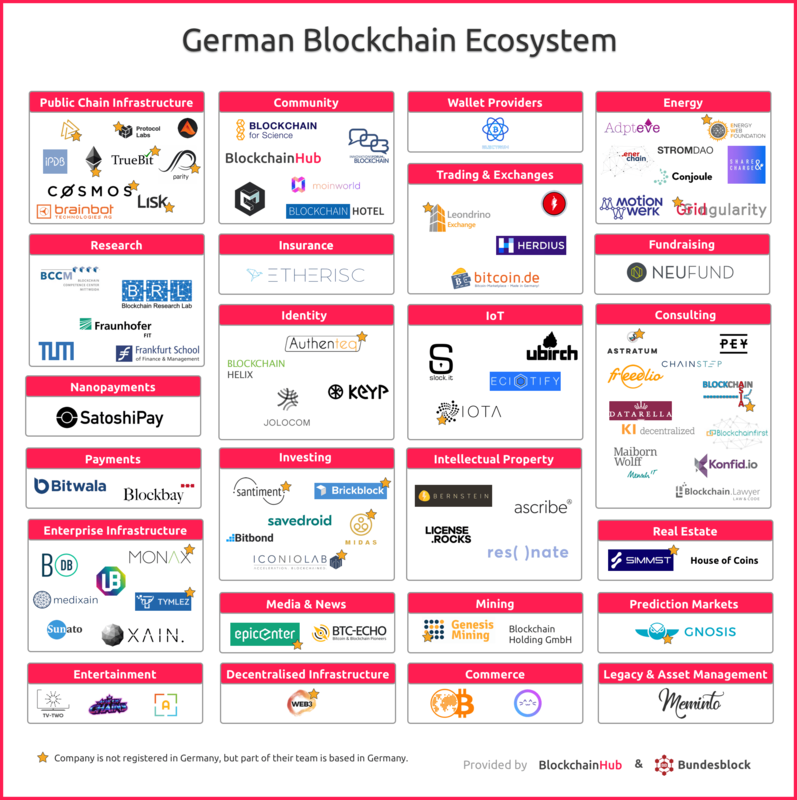 Together with Bundesblock we mapped out the German blockchain ecosystem. This map only reflects companies and institutions who exclusively work on Blockchain or other Web3 solutions. If you are a German startup offering exclusive blockchain related products or services, and have not been listed, please insert your details via this form, we will update this infographic on a regular basis. Company registered and fully based in Germany. Companies not registered in Germany, but part of their team is based in Germany.